Sometimes you are stuck to access a website due to the firewall settings between your webserver and internet because of no port forwarding in firewall or NAT to access websites running behind the firewall in local environment. You need to create a Public URL for Localhost Without Changing Firewall Rules. 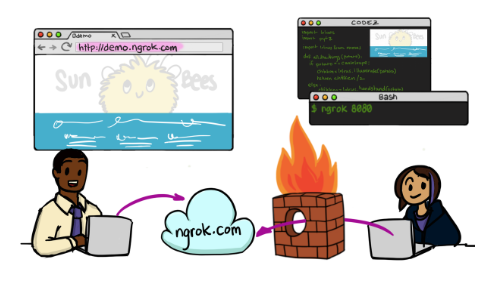 Ngrok is a great tool to access local servers behind firewalls over secure tunnels without opening the port in firewall. First you have to sign up for free account on https://ngrok.com and after you logged in to account, it will take you to download page with instructions. I am giving you example for Windows environment, if you want to run software in Linux then please follow steps mentioned on website beside download software section. 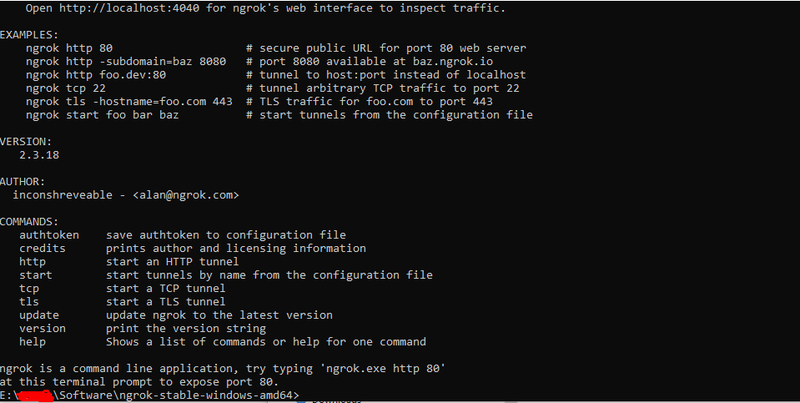 Type ngrok.exe http 80 and hit enter. It will login and linked you with your created account. You can check in browser as well by using URL: http://localhost:4040/inspect/http. You can see in below mentioned screenshot that after run exe command it is showing online in command prompt and in browser as well. once you hit the http or https link, your website will be open in new tab of browser. When you open website URL in browser, it will take you in details of website. To go back to main page, just press the clear button and it will take you to the main page.